I just came home from the ever lovely San Francisco to a winter wonderland here in Boston. The picture on the ground in Boston was just as completely different from San Francisco as I believe the data center in five years will be from the data center of today. The picture has started to emerge out of the haze but it is not completely clear what the final picture will be when the fuzziness disappears. In walking through the solutions floor and talking to various partners and listening to the key notes, there are some interesting things I took away and thought would be useful to share. Flash is changing the data center – And it is early days yet: For the longest time in the compute, network and storage trifecta within the data center, the storage portion has been the slowest typically. With flash, that equation has started to change. With flash there has a dramatic change in the IOPS and latency equation on the storage front. We are seeing some very interesting plays on the usage of flash. Some of the changes are obvious – the sheer speed of flash enables a paradigm shift. You can already see many different layers trying to attack the problem – take the FVP from PernixData or VSAN from VMware or which try to aggregate server side flash or EMC’s XtremSF with XtremCache which does intelligent data tiering at the server level. My bet, this is just the first domino. How will flash change the application layer? There are a _LOT_ of flash plays out there. Innovation at the speed of flash, I guess. Not all these ideas will work but man, what a ride it promises to be. Software Defined – you ain’t seen nothing yet: This seems like a buzzword until you peer through the hype cycle. While the most obvious impact is the conversion of hardware elements into pure software, my bet again is that the impact is going to be far more profound than most of us realize. Infrastructure is being separated from hardware right in front of our eyes. The server side has already undergone this dramatic transformation and the profound impact of that is in front of our eyes. Storage and network are up next. There is one other implication. At the point that you have storage and network virtualized, your entire infrastructure is no longer tied to hardware. We have seen an example of what can happen with use-cases such as those seen with VPLEX. What implications does this have for management, for the definition of a data center and what we architect, train and build for. These are seismic changes which promise to change the landscape of computing. This impacts data center practitioners, partners who sell to data centers, and vendors who are trying to build for these new data centers. Only time will tell how all of this will shake out. We live in very interesting times in the technology industry – enjoy the ride, it should be fun! 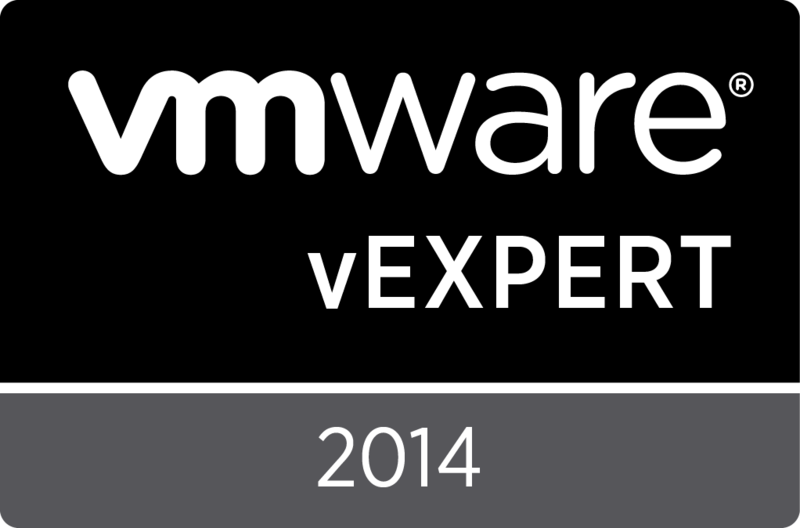 In about a week’s time, I will be heading to San Francisco for VMware Partner Exchange. EMC is putting together a fabulous boot-camp together for our partners on Monday, February 10th from 8:30 AM – 4:30 PM. The session number is 3579-SPO: “EMC’s Game Changing Solution Roadmaps, Resources & Partner Programs” (Content Catalog Link). This is an NDA only session focusing on where the EMC portfolio is going (YES! roadmap items will be discussed – hence the NDA) and how this portfolio and direction can enable business for our partners. The NDA can be signed right outside the session hall. Chad Sakac gets top billing at the bootcamp with a marathon 2.5 hour session to kick the day off. Post that session each of the individual solution owners and BUs will present the next level of depth on the partner opportunities. The session lengths range from 30 – 45 minutes. Try putting all the things that are going on in any one division in 30 – 45 mins and you can imagine that each speaker is left with a LOT to say and very little time. On the VPLEX and RecoverPoint front, this will be our first public event as a part of the Data Protection and Availability Division. Extremely exciting possibilities and a lot of things that are in the works. Phil (@vPhilGeorge) provides a sneak peek of all the DPAD activities at VMware Partner Exchange here. In addition to the boot camps, we will have also have a floor presence on the Solutions floor at the EMC booth. Please do stop by Booth #401 – we have tons to tell you about and questions we can answer. Plus, we will also be doing the ever popular Hands On Labs. These do not need any registration and are on a first-come-first-served basis. Specific to VPLEX and RecoverPoint, we are doing an additional one-hour under NDA sessions. Space is limited for 6 – 10 partners even with standing room. Our Channel Marketing team is coordinating attendance for this session. Yossi Saad and I will be talking to these partners to dive deeper into the roadmaps for RecoverPoint and VPLEX. We are aiming to cover some incredible new work that is going on in the VPLEX / RP portfolios to learn how we can bring these game changing technologies to market with our partners. Last but not the least, if you are going to PEX and would like to have a VPLEX / RP chat, please do not hesitate to reach out. I would love to connect with you and set some time up to understand your business and VPLEX and RP can be tools in your arsenal to make you even more successful.